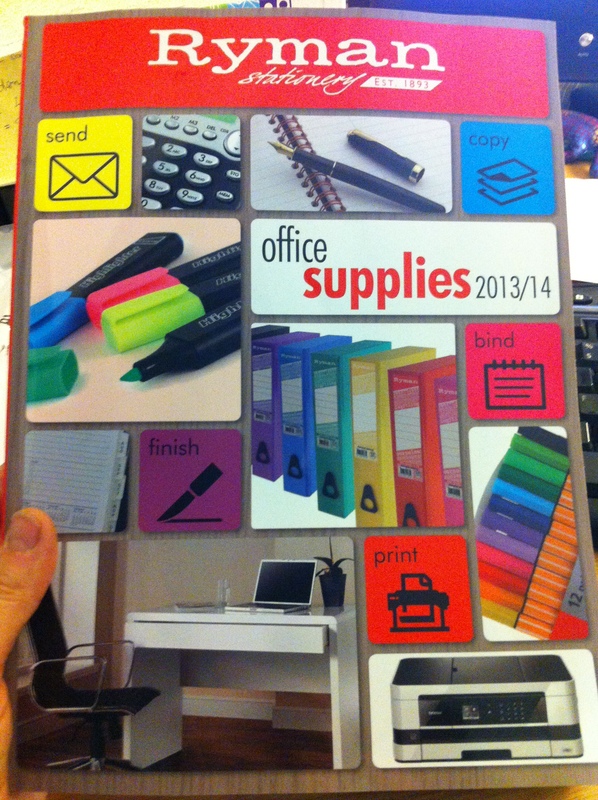 Is it sad that stationery shops & catalogues excite me? I don’t know about anyone else, but I think this must be a hangover from childhood. My total and utter love of lovely new sharp pencils, coloured pens, gel pens or tiny-nibbed pens that write beautifully has never waned since I was a child! 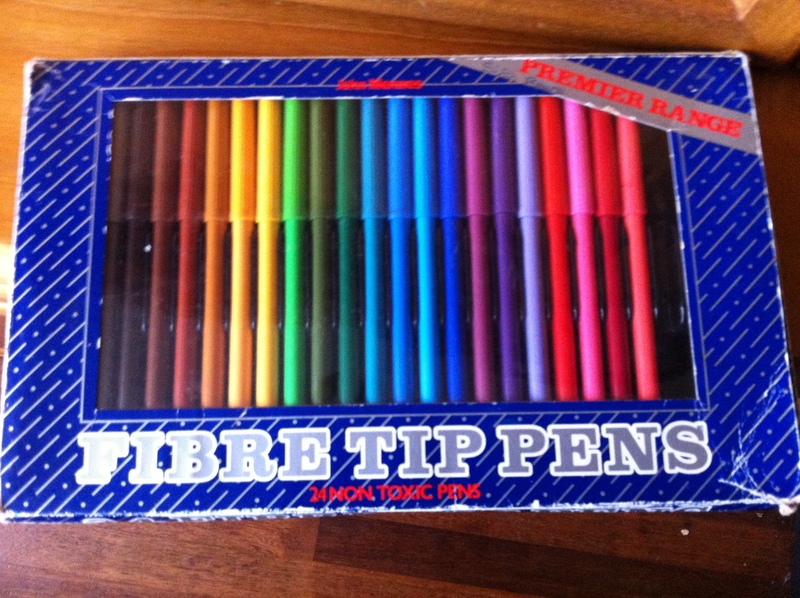 Back then it was the excitement of shopping for the longest possible set of felt-tips, like a giant rainbow, all organised by colour in a well-known high-street stationers (one of two in my town in those days). My colouring would be that bit neater for a while to honour the new pens. They’d be kept in pristine order, and it would be so sad when they finally dried up – mind you then came the chance to buy MORE -yipeee! I still have a set of pens, in their black plastic holder, in order, with my name (as was) written neatly in in my cursive writing (which means we’re talking Primary school or early Secondary school, because I changed my writing to suit me as soon as it wasn’t expected to be totally joined up and in ink pen). Actually, one thing I never got that excited about, the exception to the rule, was cartridge ink pens! I dabbled with Calligraphy for a while, using turquoise ink and a posh pen I’d had for my birthday. My dad was all into that too. Having to use them at school was a pain, but also a right of passage. You had to be in the top year at Primary school to be allowed! During secondary school years, outside of school, I wrote important things in a mixture of grey & pink (very ’80s). This was pretty time-consuming as I alternated, doing one letter of each colour as I wrote! On to Uni, and I favoured a sharp pencil for ALL writing, apart from work to be handed in of course. I even wrote reams of pages as letters to my family, friends and boyfriend in pencil, using normal, lined A4 paper. I obviously wasn’t at all bothered about the paper, though being a poor student doesn’t really allow for luxuries such as posh writing paper. 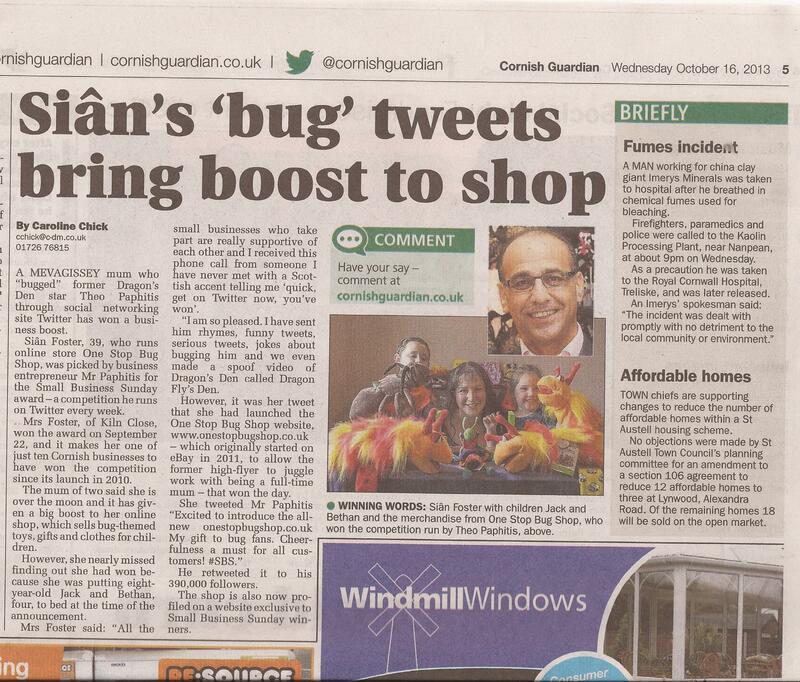 Anyway, the point of these ramblings is just that I have just opened my new Rymans Business account, a benefit of winning the #SBS award from Theo Paphitis for my bug-filled online shop ( http://www.onestopbugshop.co.uk ) . A gigantic catalogue has plopped onto the doormat and an equally generous credit is waiting to be spent! So, the problem I’m struggling with is do I buy what I need (printer ink cartridges etc yawn) or what grabs my eye (multicoloured mechanical pencils, beautiful sets of pens, colourful organising bit & bobs)? I keep finding more & more possibilities! I promise I’ll make the right decision, but for now, I’m in a stationery wonderland & I am going to enjoy looking! 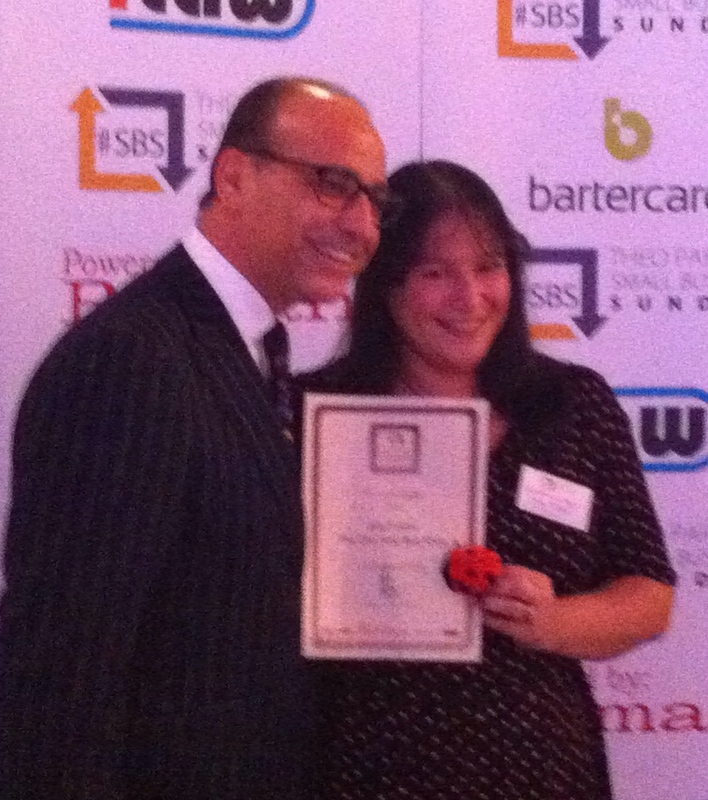 Theo Paphitis’ #SBS Event 2013 – Buggie in Brum! 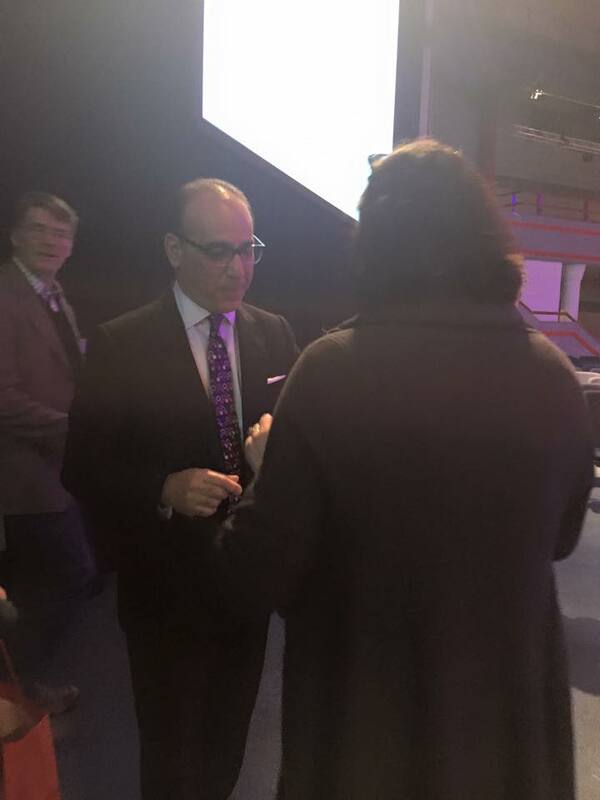 Well, the day finally came last week when I travelled to Birmingham to attend the #SBS Winners Event, and meet Theo himself! Excited doesn’t cover it! 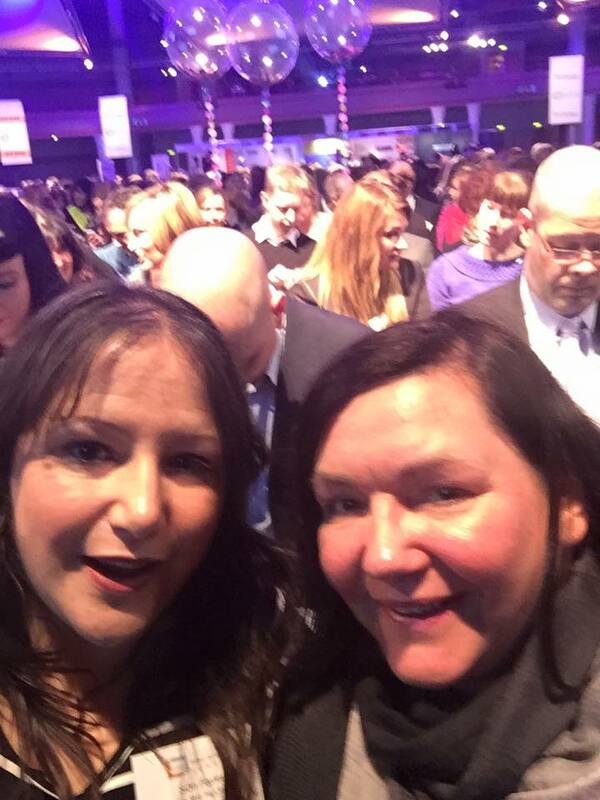 I was allowed to take a guest, and as hubby had to stay home looking after the kids (mwahahahaha), I choose my local friend and #SBS winner-in-waiting, Joy Bassett from AP Bassetts, Lostwitihiel (@apbassetts). 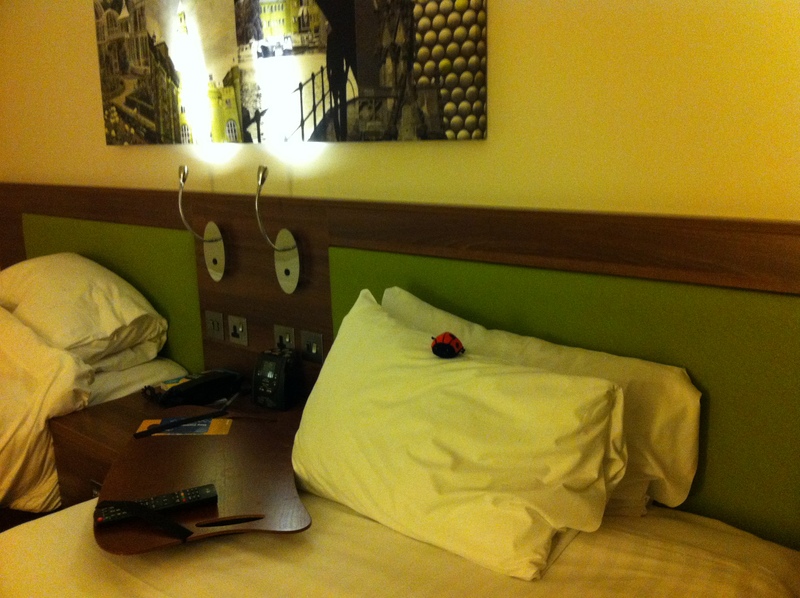 Joy bravely decided to drive us there and we made it in good time to our hotel, The Hampton by Hilton, Broad Street. Buggie was very comfy there. Theo had graciously started the event at the lovely time of 11am, which meant a leisurely breakfast and stroll en-mass up the road towards the ICC, excitement building! Walking in we saw the first sign, and yes, over-excitement got the better of me and I did a silly pose! I soon found another way to find people, the shifty-over-someone’s-shoulder-look at their name badge (rather than the more embarrassing walk-right-up-looking-at-their-chest kind). Numbered tables around the room helped too of course. 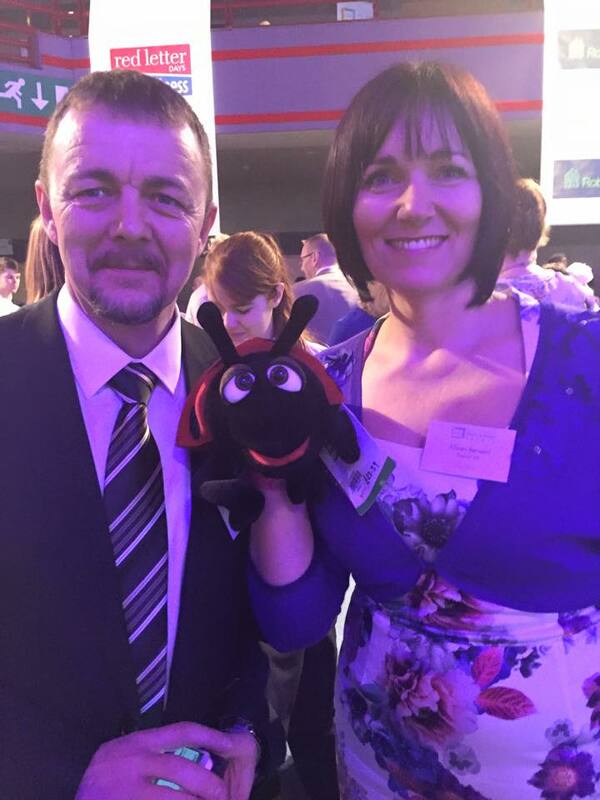 I did manage to find a few fellow Cornish businesses (of the 10 who have won #SBS since it began). 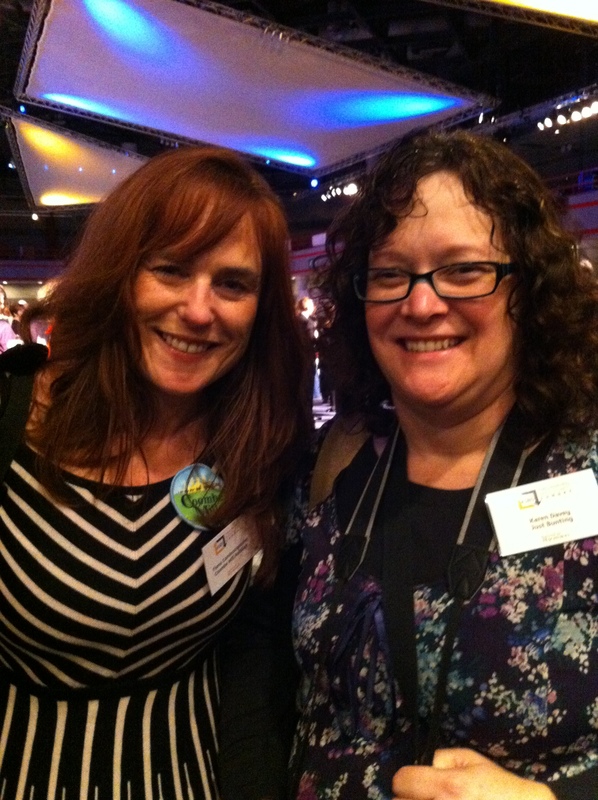 Here are lovely Fiona from @CoombeMill and Karen from @JustBunting . I also saw @MrsCassieKemp from Cake Top Characters, and there’s a photo of us together somewhere. 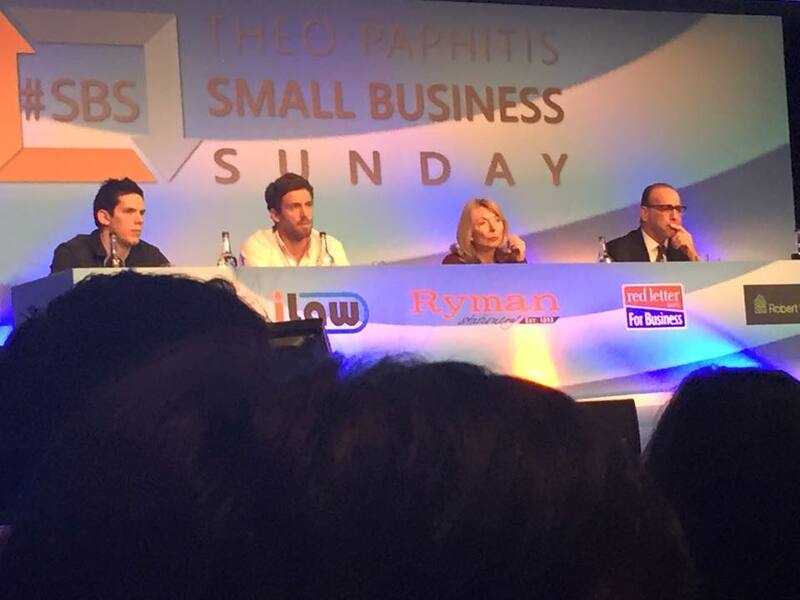 The main event began with Kypros Kyprianou, CEO of Ryman Stationary, telling us about the new sponsors of #SBS. More sponsors have joined forces with Ryman to support this fab Small Businesses group. 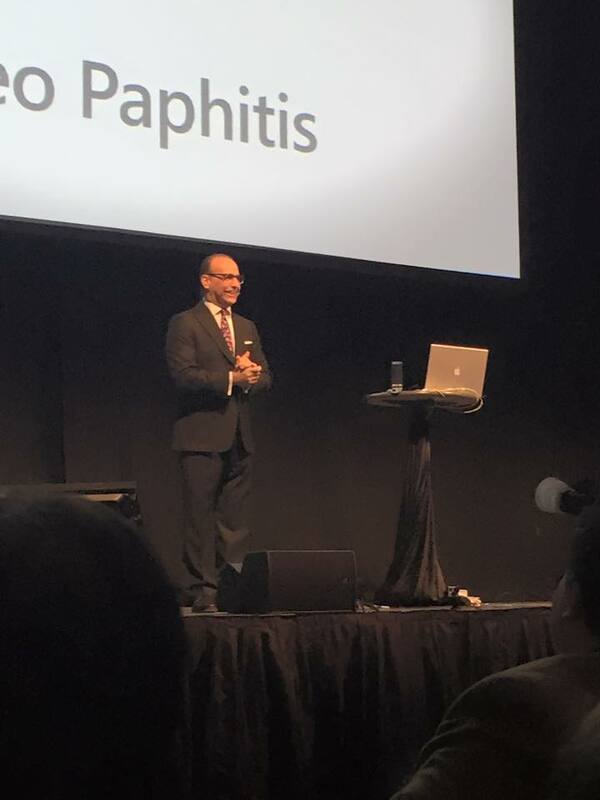 I had a seat quite far over to one side at this point and could see the main man – Mr. Paphitis – sliding about in the wings, having a sneaky peak at Kypros during his speech! Then, on he came, to great applause from all of us. 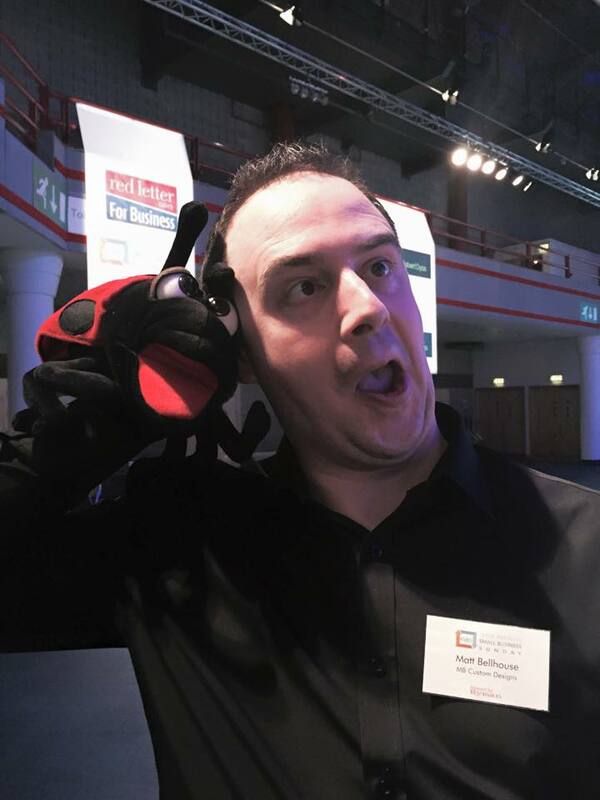 We heard some exciting new developments for the #SBS family, including pending improvements to our very own website http://www.theopaphitissbs.com, run by fellow #SBS winner Chris Wheeler (@MetalsFrogst) and his team at Metal Frog Studios. Chris was brought on stage and gave us a run-down on the changes coming up – all of which were going to be done ‘Monday’ :0). 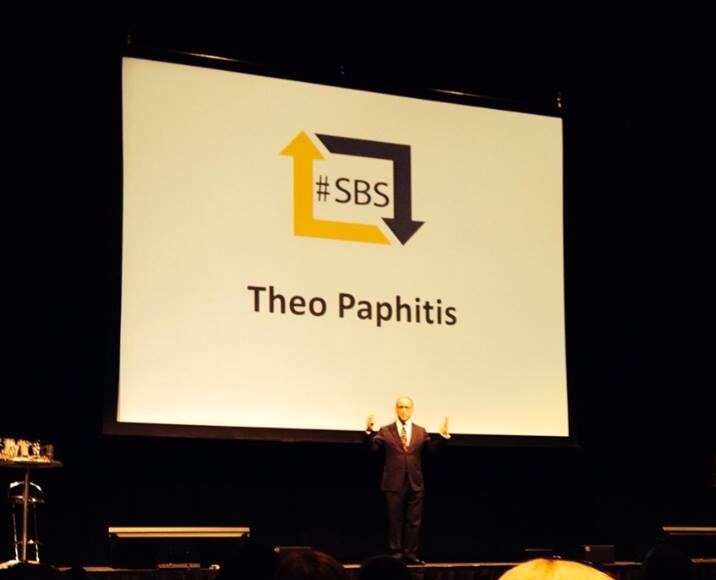 Then came the main announcement from Theo; the arrival of the #SBS Angels. 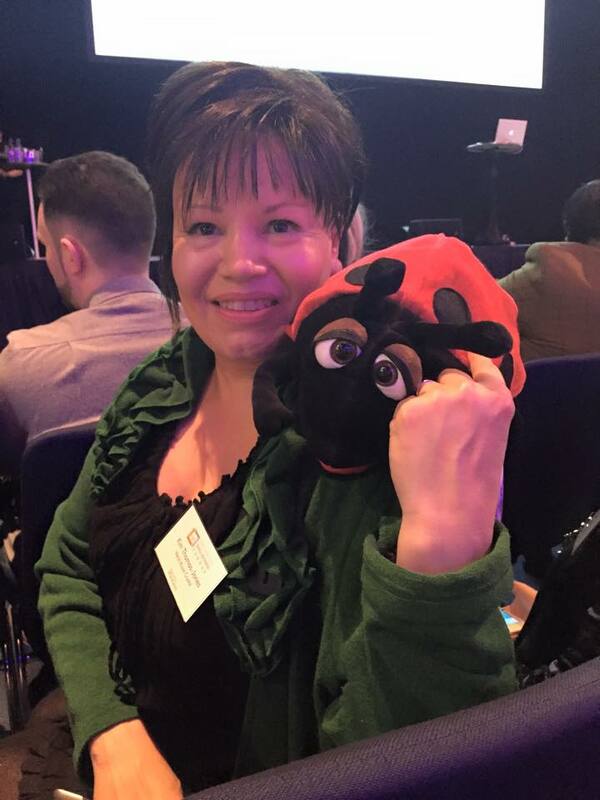 These are a group of successful business people, who were invested in by Theo via Dragon’s Den, coming together to choose one #SBS winner to receive a £50,000 investment. 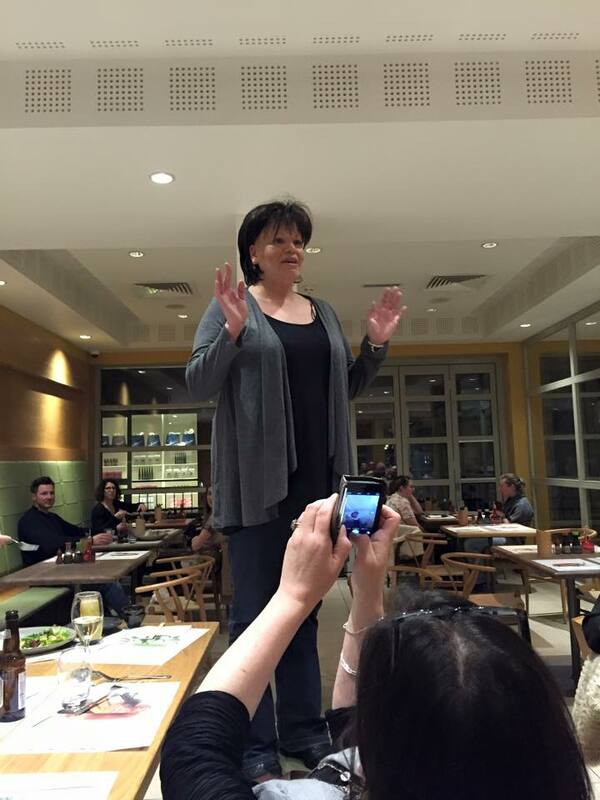 #SBS winners were invited to pitch to the #SBS Angels for this, in a Dragon’s Den style! There was so much discussed, and I could go on and on. I think we were all struck by what a good speaker Theo is, and were very impressed with how long he took at the end of the presentation to answer questions from the audience (going way over the allocated time). Questions ranged from sensible to crazy, with continued golden nuggets of business advice from Mr. P throughout. He made one lady’s day with an on-the-spot decision to have the Buying Manager from his most recently acquired business, Robert Dyas, meet her to discuss featuring her British-Made cookware. This was prompted by her telling him she was banging down doors trying to spread the word of her products, but many places didn’t even bother to reply to her. When she said she had felt a bit shy asking a question, he responded with “I know, I noticed you put your hand up about four times and then put it down again”. After this, we went straight into a huge queue to have our certificates presented and meet Theo. Every lady got out her make-up & mirror! 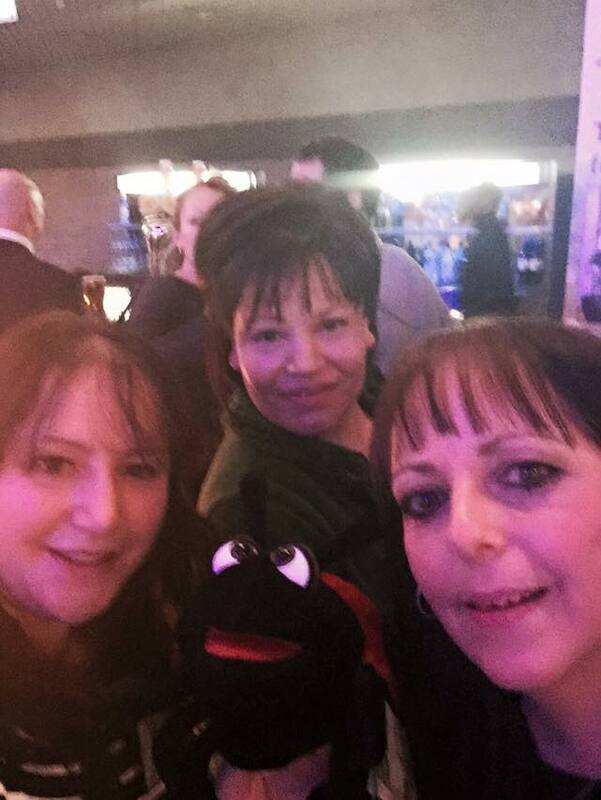 So, here is an unofficial snap of my moment with Mr. P. Of course, Buggie made it into the picture too. Theo was pleased I brought him along! We left, Rymans goody bags in hands, feeling buoyed up by being part of such a fantastic group. 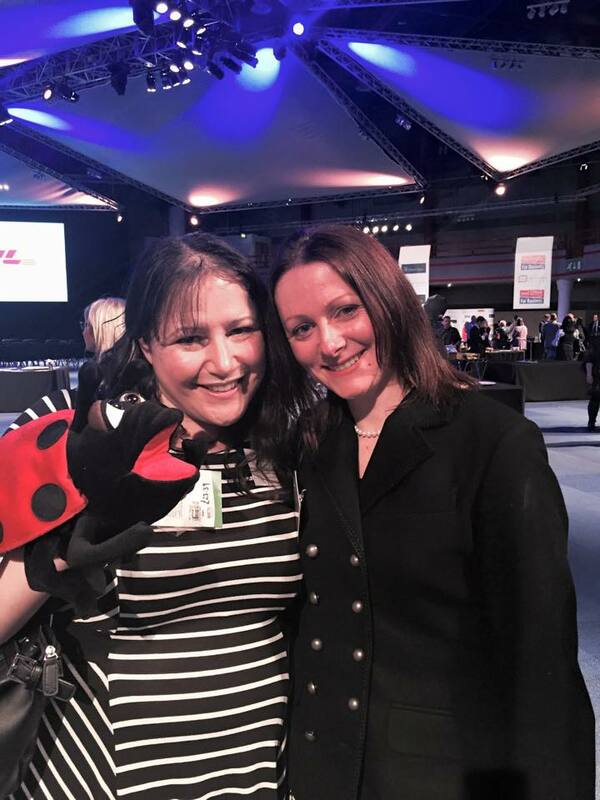 Members of #SBS have the benefit of advice from all sorts of different business people, from around the country, with expertise in a huge variety of areas. For me, relatively at the beginning of my journey, this is invaluable. 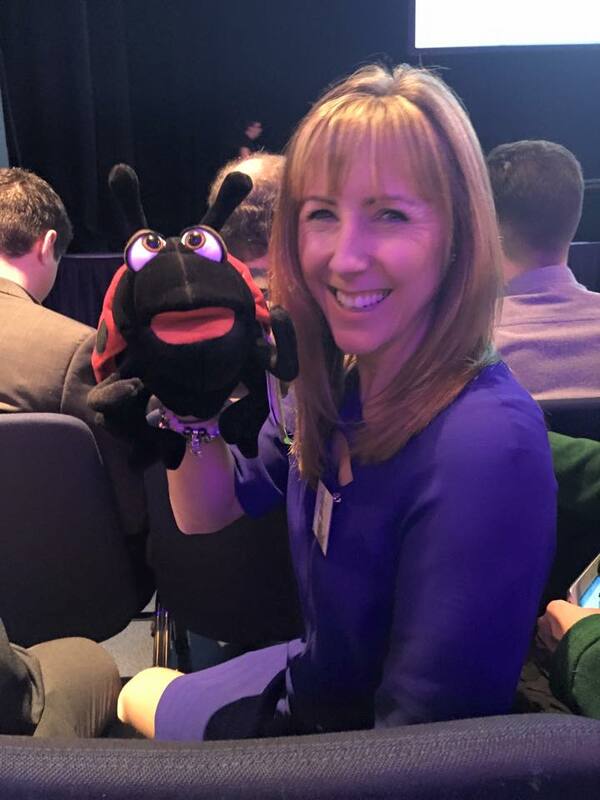 The possibility of mentors offering their services to #SBS members is exciting, and this support is something most Small Business owners cannot find. 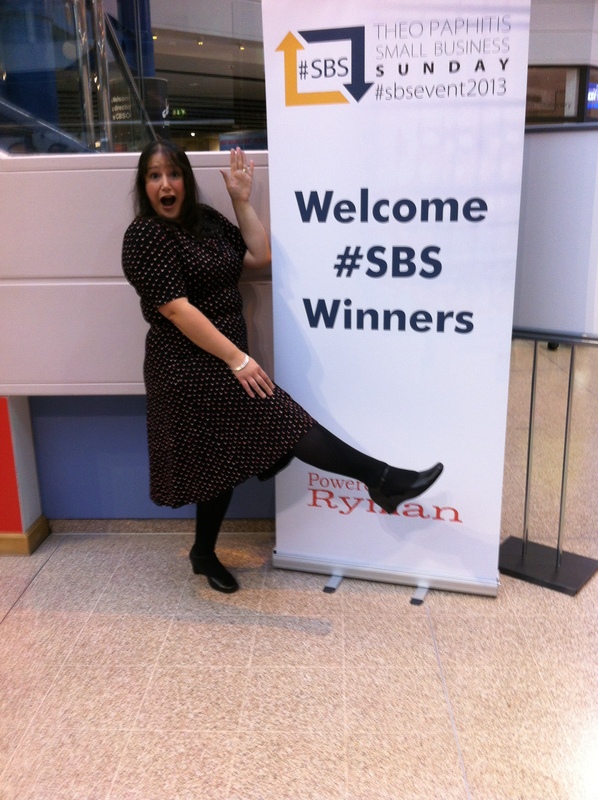 I would advise anyone who has thought about entering #SBS (on a Sunday between 5 – 7.30pm on Twitter) to do it! Have a read of this http://www.theopaphitissbs.com/about/ to find out more. 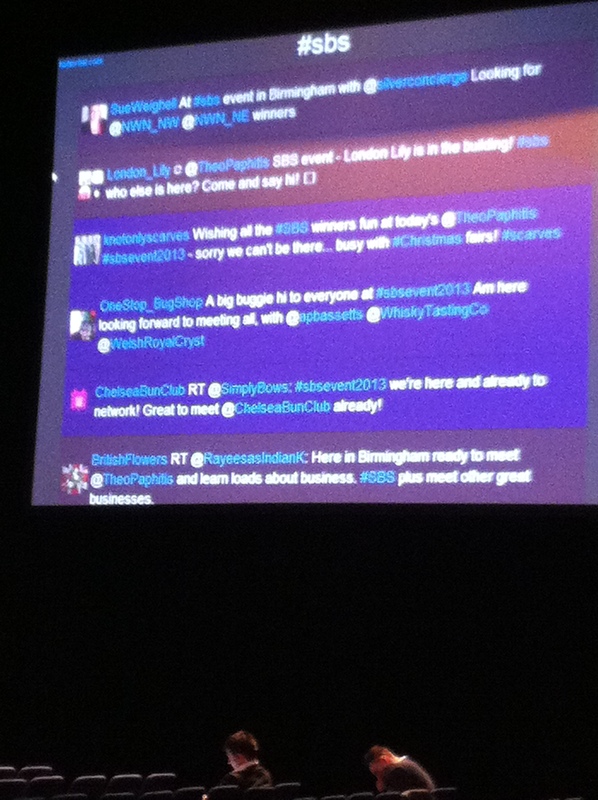 Twitter itself is a great network, and #SBS a wonderful group of people. 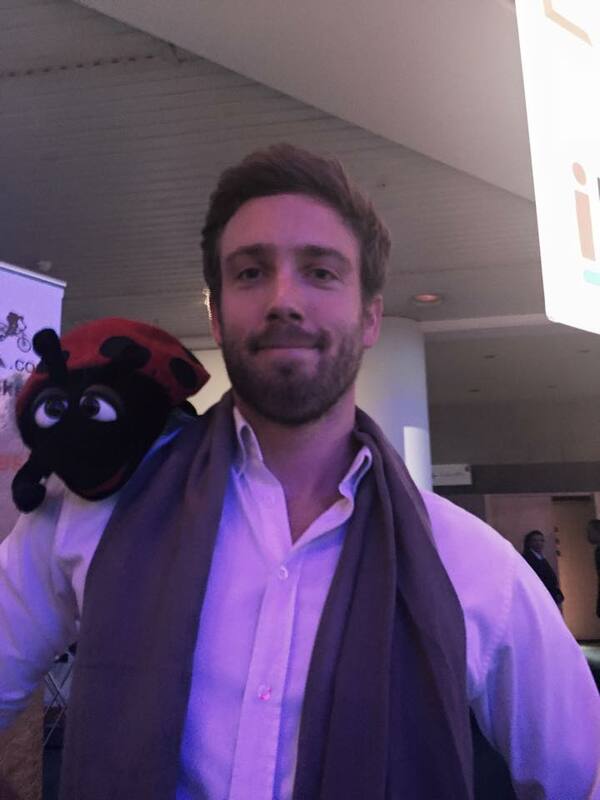 Long may it continue to grow and inspire people – Thanks Theo! 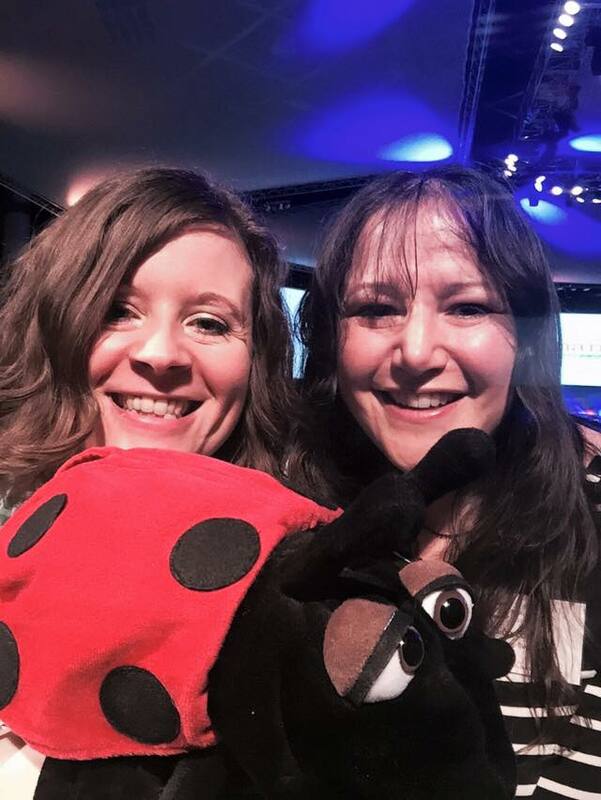 #SBS Award-winning http://www.onestopbugshop.co.uk For the most fabulous Bug-Themed gifts, clothes & toys. Bright, fun & funky. Have a buzz around! !